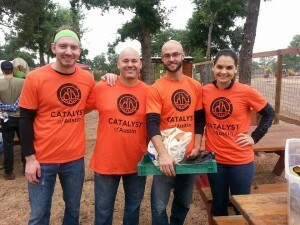 Today, the spotlight is on Catalyst of Austin in Austin, Texas. Special thanks to Steve Blake, Lead Pastor, for today’s post. To tell the story of Catalyst of Austin, I have to tell my own story. Born in 1980 in Kingston, Jamaica, my identity reflects what Michael Rynkiewich describes in Soul, Self and Society, as a postcolonial, urbanizing and globalizing trend in our world today. I was born in Jamaica to an English mother and Jamaican father. I emigrated to the U.S. only after completing my secondary education in Jamaica. In my teen years, my parents lived in London, England and so I also spent considerable time there. Steve with wife, Tori and their children, Saylen and P.K. I describe myself as multi-ethnic, multi-cultural and multi-national. I am unsure of my definitive ethnic origins but I do know they span from Europe, West Africa and the Caribbean. When it comes to “race”, I am compelled to come to grips that labels based on phenotypes (external characteristics), are simply a social construct. I am unable to find a box on the U.S Census Bureau form other than “other” that captures my identity. My wife is “African-American” which has further complicated things. We really don’t know what “race” our kids are. For now, we call them “human”. 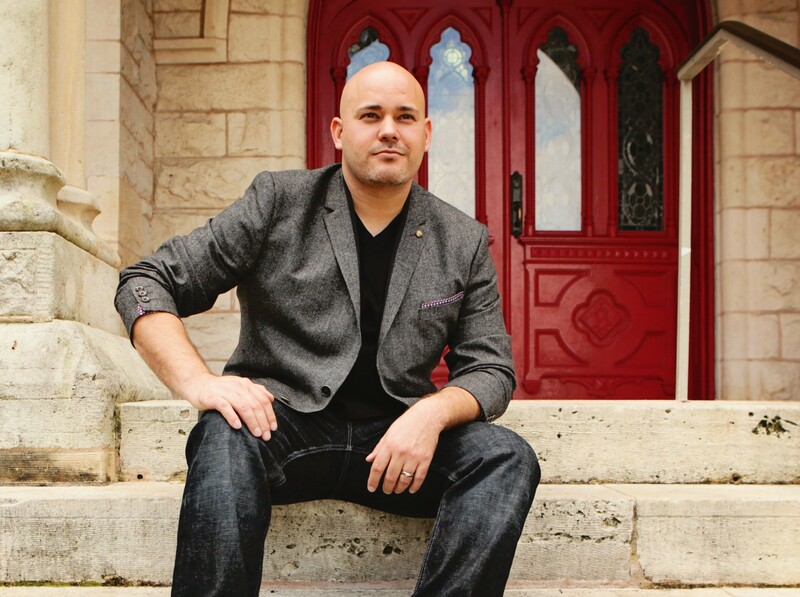 To tell the story of Catalyst of Austin, I also have to tell you my faith story. I came to faith in Christ in a campus ministry in Washington D.C. while a freshman at George Washington University. This small ministry had individuals from China, Japan, Ethiopia, Venezuela and the U.S.A. It was amazing! As a young Christian, I thought this was how all churches were but as I began to understand the landscape of churches in the U.S., I realized it was indeed plagued by cultural and ethnic segregation. This has disturbed me and created a holy discontent. Why has the church in the U.S. not reflected the ethnic hybridity taking place in the country; especially in cities? There are more and more people in U.S. cities with stories similar to mine and yet many feel as if they are alone in their struggle with identity. It is no wonder people struggle with community if they struggle with identity. What better place to find belonging, community and purpose than Jesus’ church – a community where we are all celebrated because we appreciate our individual uniqueness in the image of God. After going through an extensive church planter assessment process with Nexus Church Planting and Leader Care, my wife, Tori, and I, along with our two kids, moved to Austin, TX to plant a culturally relevant, multi-ethnic church that was still true to Jesus’ life and teachings. Upon doing demographic research on Austin, I fell in love with the city. According to Forbes, it has been the fastest growing city in the entire country for the past four years. It is a technology and cultural hub, attracting people from all over the world with tech jobs and cultural festivals for film, music and the arts. The real clincher for me, on top of the amazing food in Austin, was learning that Austin is 85-90% unchurched. After engaging in a process of contextualization for several months, God birthed a ministry philosophy that was contextualized to my family and the cultural narratives running through Austin. After several months of introspection, conversation, research and prayer, Catalyst of Austin was born. A catalyst is an agent of change and that’s our mantra, to be “agents of change”. Our mission is to change how people embrace God and engage our community. We want to let people know that God is not mad at you, he is mad about you. We want to engage our diverse community and seek to build bridges with people from different ethnic, social, economic and even religious backgrounds. Steve serving with some members of Catalyst of Austin at a fundraising event. It has been inspiring to see people from different backgrounds becoming a part of Catalyst. In terms of ethnicity, there are already people from Filipino, Indian, Scandinavian, African, European, Mexican, Caribbean, and American backgrounds. Most of our early team consisted of people who were unchurched and/or disillusioned with traditional expressions of the church. Seasoned church people are now joining as Catalyst is giving them an opportunity to be truly missional. As we have been growing, it’s been great to also see people from different socio-economic backgrounds come together. God has answered my prayer as we are building a culturally relevant, multi-ethnic church that is still true to Jesus’ life and teachings. All these differences among people can be a breeding ground for conflict and conflict has for sure already taken place. What I am learning however is that there is no way we can experience redemption, reconciliation and restoration of our relationships with God and one another without conflict. Conflict is a good thing! We see conflict in the early church because there were different people being forged together by the Holy Spirit to form the body of Christ. There was conflict between Jews and Gentiles, rich and poor, husbands and wives, slaves and masters, members of the churches, and on and on. Breaking down the walls of hostility begins with getting to know Jesus and miraculously, he turns our cynicism of others into deep appreciation for how God has fearfully and wonderfully made them. Please be praying for us in Austin as we seek to be on the front lines of advancing the Kingdom of God by sharing the gospel that God is redeeming, reconciling and restoring our relationship with Him and one another through Jesus Christ. I believe God has uniquely created me for such a time as this and I will give all that I am to serve Him. Interested in giving to Catalyst of Austin? Click here to donate. Steve is the founder and lead pastor of Catalyst of Austin. Born and raised in in Kingston, Jamaica, Steve came to the U.S and attended George Washington University in Washington, D.C. where he met his wife, Tori, and obtained a degree in Economics. The Blake’s now have two amazing kids, Saylen and P.K..
Steve was a pastor in Washington, D.C. for 10 years and has a Master of Arts in Ministry, with a concentration in Christian Leadership, from Hope International University.